If you’re seeking fiberglass insulation products and installation services to make your Chattanooga, Tennessee, home more comfortable and energy efficient, turn to the professionals at 31-W Insulation. We’ve offered outstanding insulation products, installed by highly experienced technicians, to homeowners in the Southeast since opening our doors in 1972, and our commitment to excellence has made us one of the most trusted sources for insulation products and services. 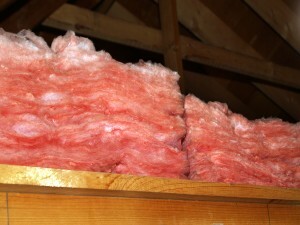 Additionally, when 31-W professionals install fiberglass insulation in your attic, you can be completely confident that your project is in safe, capable hands. Our technicians are all highly experienced and trained in the latest methods of installing insulation for maximum energy efficiency. We will arrive at your home on time to provide you with courteous service and will treat your home with respect, cleaning up any mess we make during the installation process. For more information about the many benefits you will enjoy when 31-W Insulation professionals install fiberglass insulation in your Chattanooga, TN, home, contact us today.